The majority of people think satellites are to do with astronautics. Now Munich is getting its own, but not in outer space – more like in Erdinger Moos at the airport! Constantin Goldberg reports live from the construction site about what the LSG Sky Chefs Lounge has to do with it. Greetings or “Grüß Gott” as they say here in Bavaria. Have you already heard that Munich is opening a new terminal? It’s happening on 26 April 2016 and we’ve really got our hands full trying to make sure everything is just so. “Why does Munich need a new terminal?” I hear you ask. Well, with approximately 41 million passengers last year, Munich is the second most important airport in Germany. Until now, two terminals were available for arriving and departing passengers and the buildings were bursting at the seams. The third terminal, named the Satellite Terminal, will be able to handle 11 million passengers in the future. But why is the terminal now called the Satellite Terminal and not just Terminal 3? Simply put, the satellite is an extension of Terminal 2 in the truest sense, but there is actually no way of getting there on foot or on public transport. Instead, the passengers will be taken to the new terminal underground, on a driverless mini-subway train. It’s starting to sound a bit more space-like, right? In the new Satellite Terminal it won’t look like being on the moon though, quite the opposite in fact: everything is extremely modern and state-of-the-art. Test operations have been running there since the end of 2015, making sure that all processes have really been put through their paces. Ultimately, everything needs to operate smoothly when the first passengers arrive in April. 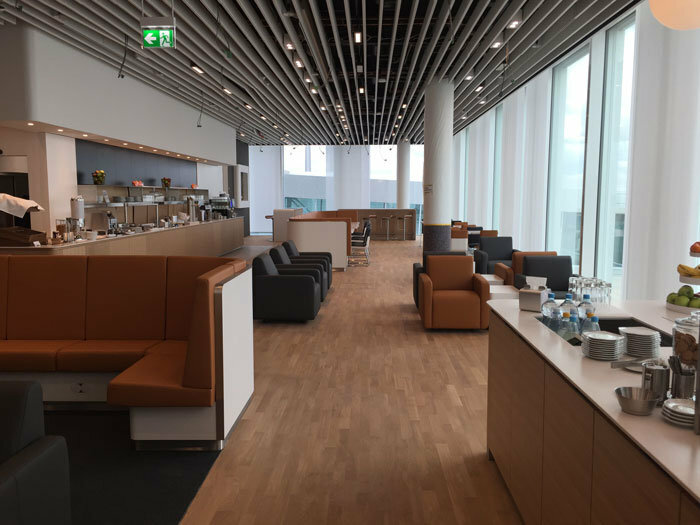 Our Lounge Team in Munich is of course also participating in the extensive tests, as five new Lufthansa Lounges are opening simultaneously in the satellite. I was on site myself at the lounges during the trial days and supported my colleagues in Munich to plan and coordinate the project as best as I could. A start-up like this is always a really exciting time, above all if the infrastructure round and about is totally new for everyone. 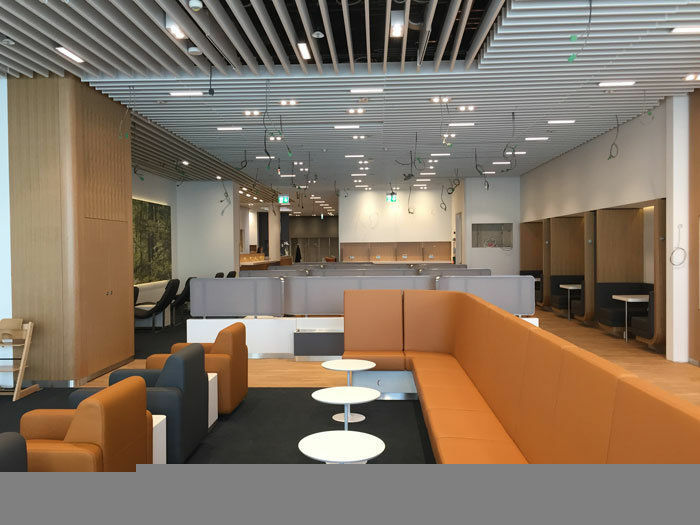 In my frequent visits to the site, I was able to experience the lounges changing literally from day to day. I brought photos from the evening before the trial operation and one from during the test run. It is almost unbelievable what the tradespeople managed to achieve in the last night! Of course, I’ve experienced a lot during my time in the hotel industry, but this time, I was truly impressed. But see for yourselves! After: Surely the elves got to work here? The lounge the next morning, ready for the trial run! Now, before I write too much, I’m going to hop back over to the construction site, so that we do actually get done in time for April! P.S. 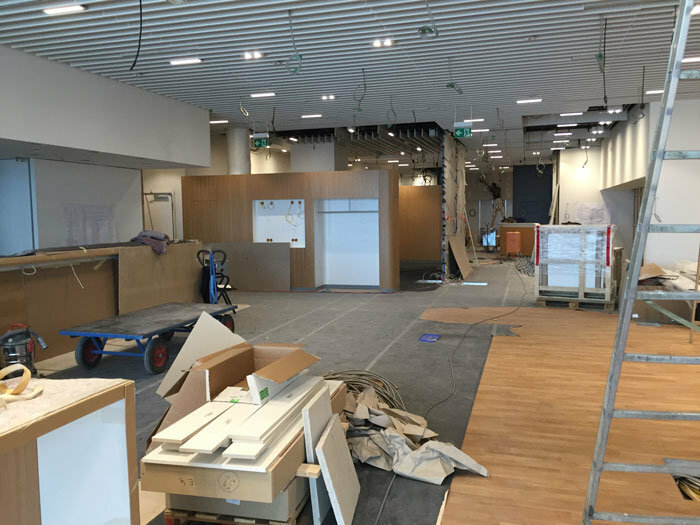 : The entrance to the mini-subway is right behind the Lufthansa Senator Café in Terminal 2. There you can treat yourself to a refreshment before using the “(Space) Shuttle”. LSG Sky Chefs Munich celebrates the Oktoberfest – O`zapft is!